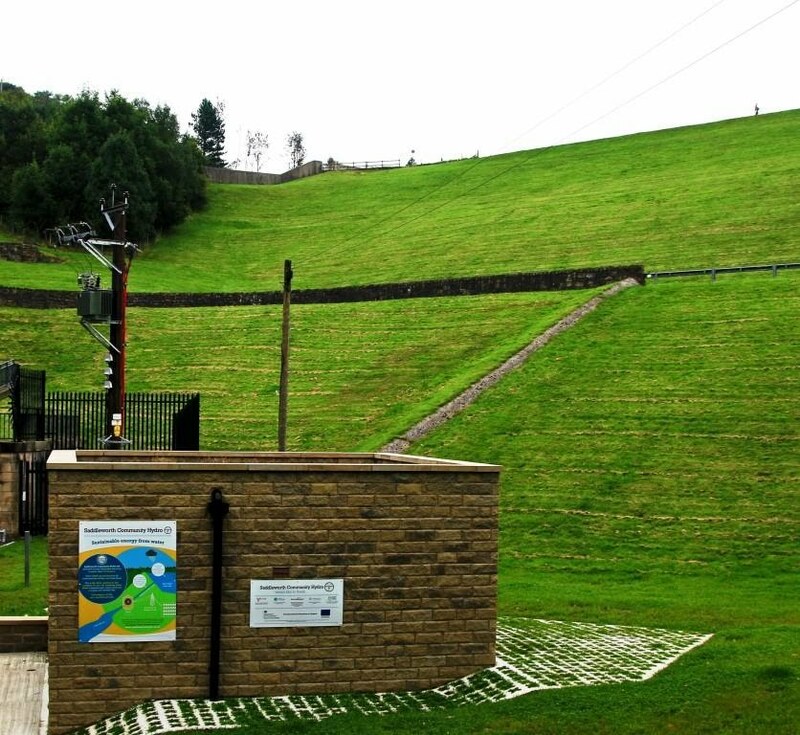 Saddleworth Community Hydro Ltd generates enough sustainable electricity to power about 75 homes via the national grid, with an annual saving of 170 tonnes of CO2 . The dam height of 35m allows the use of a cross flow turbine driven by the continuous supply of compensation water flowing from the reservoir into Chew Brook to generate up to 51 kW for the next forty years or so. This is the first high head system in England to use an existing dam. a registered society under the Co-operative and Community Benefit Societies Act 2014, which is made up from local and national members with a passion for the environment. We expect to provide upwards of £6k annually for education and local environmentally friendly projects as well as providing a modest return to shareholders . It demonstrates that a group of local people can actually do something to slow down climate change! We are NOT powerless or helpless! We now know how to set up such a project and are happy to share what we have learned and so enable others to replicate our success. We will be generating reliable zero carbon electricity in a quiet, non-intrusive way for many years. The energy of this water is no longer going to waste! 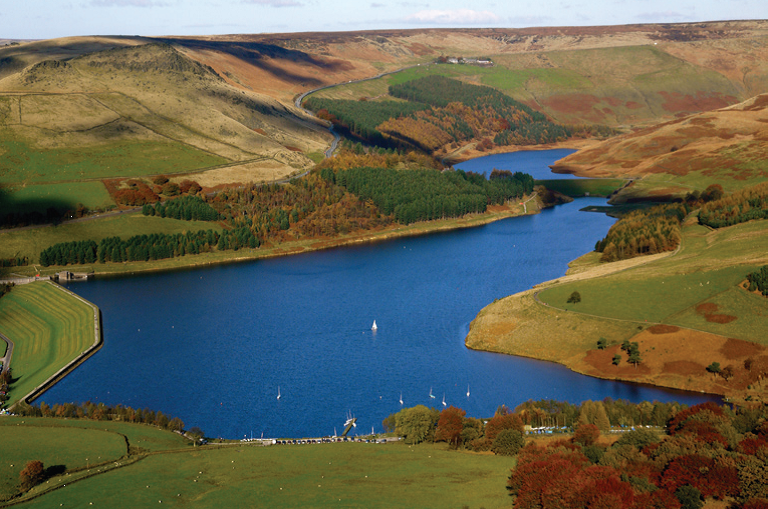 During the dry summer and autumn water levels in Dove Stone reservoir fell to more than 10 metres below the capacity level of 31metres. At no time did United Utilities actually have to apply for a drought order so the compensation water continued to flow through the turbine. The reduced pressure led to a reduction in out put to about 2/3 of normal. Although it has been a dry winter reservoir levels are back to normal, though we have little time with the reservoir in overflow when our power output would be greater.